Is it possible that one player could make or break a team’s power play unit? 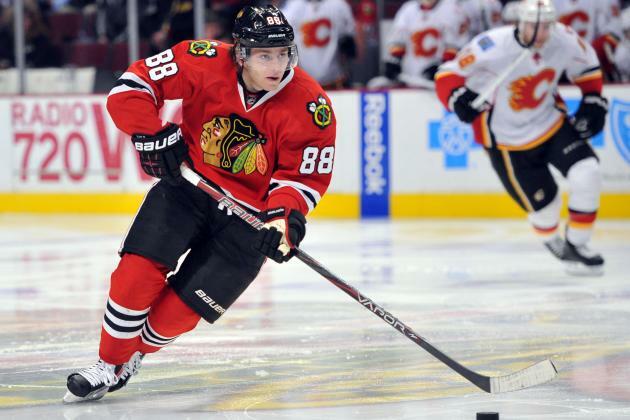 In the case of the Chicago Blackhawks, and injured star Patrick Kane, the answer is yes. Kane adds a dynamic aspect to both lines of the Blackhawks PP with his puck handling and game changing ability, but also with creating spaces by drawing players towards him and opening lanes. In the five games before Kane’s injury the Blackhawks had sixteen power play opportunities. Of those sixteen chances, they managed to capitalize on two of them. On the other hand, in the five games after the injury, the team had 13 opportunities and failed to notch a single goal. While those stats closely resemble each other, the major difference is in how the team looked in those situations. Without Kane on the ice, the Blackhawks’ specialty teams have looked lost and at times sluggish. They seem to have lost the ability to create any type of offense even with the man advantage. A large part of this comes from not being able to enter the offensive zone and constantly having to play the dump and chase game. With play makers like Jonathan Toews, Marian Hossa, and Patrick Sharp on the team, you would think this would not be an issue, but that has proven to be the case. 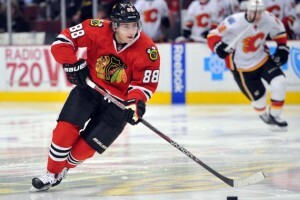 How can the team overcome these issues and right the ship before Kane comes back? Well, the answer may already be sitting on the Hawks bench. In last night’s game against the New York Rangers, Coach Joel Quenneville inserted Teuvo Teravainen into the top power play line and he was able to use a unique skill set in order to generate a little offense and open some space. While Teravainen is no Patrick Kane just yet, he does offer a ray of hope that the teams’ current woes could soon go by the wayside. Will Canada’s Stanley Cup Drought Continue? Pettersson vs. Binnington: Who Will Win the Calder?